On the one and three quarter hour sailing from Tarbert to Uig there is the chance of seeing dolphins. In Stornoway, the morning before, Ronnie the Loom had assured us that our chances were high. Ronnie was the kind of man you believed. He ran a ramshackle emporium of tweed and weaving just off Bay Street. As you entered you were confronted with a confusion of riches. Tweeds of every colour and combination were piled and stacked in bales and off cuts; antiques, whale bones, geological specimens, typewriters and old musty books filled whatever gaps that were left. And, Ronnie with his red face and white hair provided the commentary. He had conversation for everyone and spoke with authority and earnestness on whatever topic was required. He could discuss the weaves of his tweeds, the state of the industry, the amount of cloth required to make a teddy bear or an iPad cover, the identification of the Hebridean bumble bee and of course the weather. ‘Oh, I don’t see there being fog tomorrow. We are having a fine day and it will continue.’ Ronnie needed no TV map projected behind him to make his pronouncements and you knew he was going to be right. He based his predictions on experience and observation. He knew the current air temperature and pressure, he knew the temperature of the sea and he knew the direction of the wind. He also knew what any combination of these would produce. You felt safe with Ronnie, for he was an expert. He had all the credentials of expertise—obvious knowledge, a conviction in his delivery and of course the white hair. But, more than that, he had a generosity of spirit and he was eager to share what he knew, for no profit other than the joy of giving. We left assured of the weather, of our carefully calculated likelihood of seeing dolphins and with enough Harris tweed to make several teddy bears. On the ferry to Uig that evening, the sea was calm in the Minch and the sun was setting slowly behind the hills of Harris. The mountains of Skye rose out of the sea ahead of us. Even in June they still had some snow in pockets on their peaks. We stood out on deck and we watched as Ronnie had instructed. And, we waited. The sea breeze was chilling even on a summer evening and we thought about going inside to the warmth of the bar, but Ronnie had told us where to look and, as he had been right about the weather, we had confidence. So, we waited, and we watched. Skye was growing larger on the horizon and Harris was sinking into the mists behind us and suddenly two dolphins, one just behind the other, leapt from the sea right beside the ferry. They were larger, darker and closer that I had imagined with large dorsal fins and almost yellow underbellies. I pointed in reflex and others’ eyes were drawn along my arm. We all continued watching where they had surfaced as well as trying to calculate where they may show themselves next. But, that was all. A glimpse of the world beneath our boat; fleeting, but thrilling. And, of course, we had Ronnie to thank. I wasn’t sure that Ronnie the Loom knew much about Pasteur, but he certainly knew about the Hebridean weather and he knew about the sea and its riches of wildlife. He knew about his dolphins and that our chance of seeing them would be increased if we knew where to look and were willing to wait. 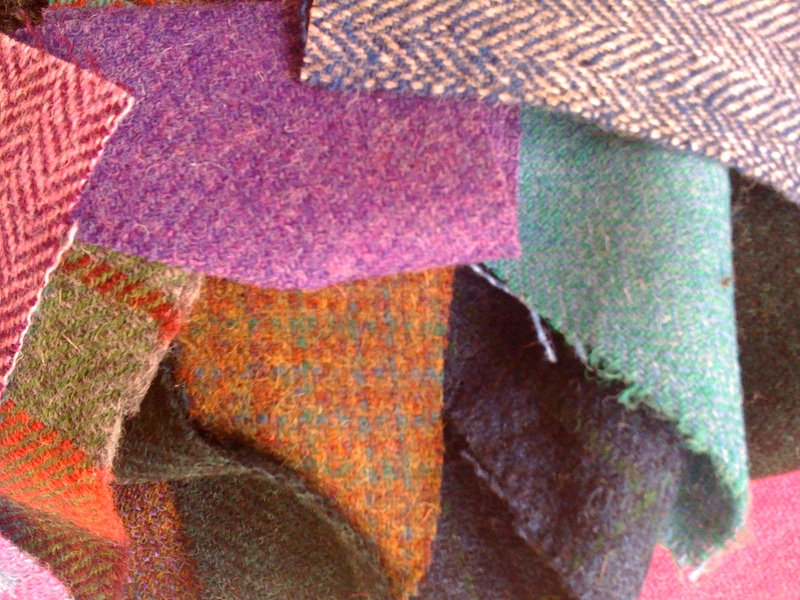 And, of course, he also knew how much Harris tweed you needed to buy to make a teddy bear, or even two.